hand-crafted in Oregon's Central Coast Range. We sell our cheeses at independent shops and retail stores around the country, many in the Pacific Northwest. We're also happy to ship our cheeses directly to you. To place an order or locate a store near you, call us at (541) 444-1362 or e-mail threering@peak.org. 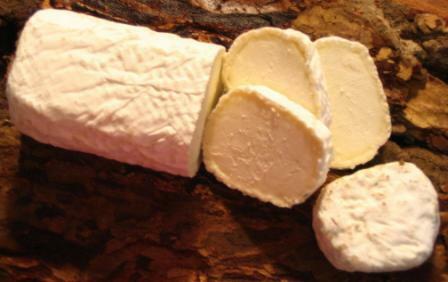 Our fresh chèvre is smooth and creamy with a slight tang. Try it plain, or in our signature tortes and rounds. We create a small but diverse selection of farmstead goat cheeses in a variety of shapes and styles, from small three-ounce nuggets to large two-pound wheels. View all of our bloomy rind and washed-rind cheeses. 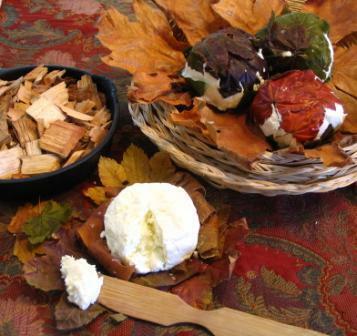 Each month we highlight one of our hand-crafted cheeses and we encourage you to try them all! See all of our featured cheeses here.